The death occurred at the Western Hospital, Alberton, on Sunday, December 2, 2018, with her loving family by her side, of Ann Thelma Weeks, beloved wife of John M. Weeks of Alberton, age 76 years. Born at Alberton on March 29, 1942, she was the daughter of the late E. E. (Joe) and Frances (nee A'Hearn) Larter. Loving mother to Joanne Weeks (Monica Boudreau) and Janet (Gordon) Peters, and cherished grandmother to Christopher Weeks, Bennett Peters and Molly Peters. Dear sister to Robbie Larter (Rachael Roy) of Charlottetown, Peter (Cynthia) Larter of Cascumpec, Stephanie (late Armand) Gaudet of Alberton, Frances (Sonny) Tremblay of Alberton, and Mary (late Adam) Melnychuk of Saskatoon. She is also survived by brother and sister-in-law, Phillip and Paula (nee Foley) Weeks of Alberton. She will be sadly missed by her many nieces, nephews, cousins and friends. She was predeceased by brothers, Norman (late Ellen) and Mike and by sister, Linda Larter. Resting at the Rooney Funeral Home and Chapel, Alberton. 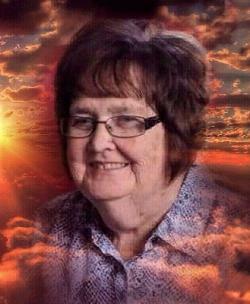 Visiting hours Thursday, 2 to 4 and 7 to 9 p.m. Funeral Friday morning from the Sacred Heart Church, Alberton, for funeral mass at 10:30 a.m., Rev. Andrew MacDonald, Celebrant. Interment in the church cemetery. As an expression of sympathy memorials to the Western Hospital Equipment Fund or to the Oncology Dept of the Prince County Hospital, Summerside would be gratefully appreciated. The Sacred Heart Council of the CWL will hold prayers for their departed member Thursday at 1:30 p.m.
Western Hospital Equipment Fund or to the Prince County Oncology Dept.